I had an interesting encounter with a member of the galagidae family during my time in Sierra Leone, although at the time I didn’t know that’s what I was hearing. I woke up in the middle of the night in my tent in an absolute panic as I was fairly certain I was hearing a woman being murdered. I didn’t know what to do, so I told myself it was a very upset goat and went back to sleep. In the morning I learned that I was listening to the majestic call of the bush baby, or galago, or the only member of the galagidae family. 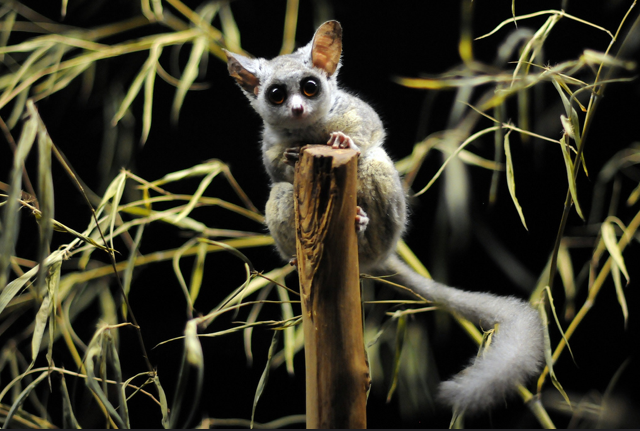 The only galagid receive the nickname bush baby by sounding like a baby crying out in the bush. People were really creative back then. They are nocturnal and live across mainland Africa.They are incredible leapers which help them catch small vertebrates, insects and leap from branch to branch to find fruit. Unlike almost any other species of strepsirrhine I have discussed thus far, the galagidae family is not endangered. Another fun fact about galagids is that although most fingers and toes have nails, they do have a ‘grooming claw’ on each back foot which is used for grooming purposes and is quite common among strepsirrhines. Thanks for writing such great blog posts! Finally got to catch up on the past few. Great because they are short but informative, plus a bit of humor! 🙂 Keep up the good work! Also, always glad for a bit of Sierra Leone to make it into a post!! !